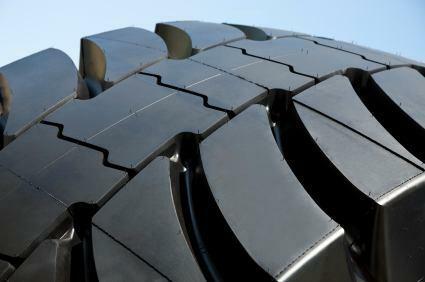 Knowing the proper size of tire for your vehicle is an important part of maintaining your car. Tire size calculators, like the free one included in this article, can help you determine what size of tire you need to buy and how different tire sizes can change the accuracy of your speedometer. LoveToKnow offers this free calculator to help you figure out how your new tires will change the way your speedometer works. Your speedometer uses the revolutions of your tires to calculate the speed the vehicle is going. When you change the size of the tires, they will be revolving at a slightly slower or faster rate, even though the car is going the same speed. Because of this, the speedometer may tell you that the car is traveling slightly faster or slower than it actually is. This handy tire size calculator can help you compensate for changes in your speedometer reading. How Do You Know You Need New Tires? Input the information into the calculator as described in the instructions. When you're ready, hit "calculate." You'll see the height of each tire. The number you see for the tire 2 speedometer reading is the speed your speedometer will display when you are actually traveling at the speed you entered for your old tires. The difference in speedometer reading will also appear at the bottom of the calculator. Make sure the both tires are measured using the same units. For instance, section width is typically measured in millimeters, so it's important to make sure the measurement for both tires is in millimeters. Check multiple speeds using this calculator, since the speedometer difference will vary depending on the speed you're going. Consider making note of the speed difference for several different speeds and posting this information in your car. Section width - Also called the tread width, this is the width of your tire's treaded area, measured in millimeters. Typically, this will be a high number that is displayed first on a tire. Aspect ratio - Also called the profile, this number is a percentage. Usually the second number displayed on a tire, this is the sidewall height divided by the section width. Rim size - This number refers to the diameter of your vehicle's wheel. It's usually measured in inches. 1010 Tires has a helpful tire calculator that allows you to compare up to four different tires at a glance. You can choose to display the results in inches or millimeters, and you can also look up your car's make and model to see tire recommendations. Discount Tire also has a great calculator that allows you to compare two different tires. This is a good way to compare your old tires to your new tires. In addition to viewing the sidewall height, circumference, overall diameter, and section width, you can see the revolutions per mile for each tire. You can also see how the tire size affects the reading of your speedometer. Performance Probe has a simple tire calculator that helps you determine how much speedometer error you might get at different tires sizes and different speeds. You can compare two different tire sizes side by side and check the speedometer error at 60 miles per hour, 100 miles per hour, and 140 miles per hour. You can also see how these numbers will change your odometer readings after the tires have been on your vehicle for 10,000 miles. Rocky Road Outfitters offers a tire calculator that you can use to figure out how a new tire size can influence your vehicle's gear ratio, speedometer, and other equipment. This calculator is best for those doing a lot of off-road driving, since many of the factors apply to lifted trucks. When purchasing new tires for your car or truck, it's always a good idea to stay within the limits set by your vehicle's manufacturer. Different tire sizes can affect many of the systems in your vehicle, so when in doubt, stay with what you know. You can find the manufacturer's recommendation in your owner's manual.